What a beautiful part of Croatia. Crystal clear water, restaurants, places to stay and cheap. When you order a meal you certainly get a huge plate to deal with. It is not far from Rijeka and also not far from the southern border of Slovenia and overlooks a bay and offshore islands. You can pamper yourself at spas, go on boat cruises, go to the casino, shop, swim, and sail or hire a car. It caters to everyone’s needs and there is no shortage of holiday makers here. Car plates from as far away as Denmark and being so close to Italy, it is hugely popular with them and everyone else in between. Visiting Croatia on the back of a motorbike gives you a different perspective on things but I can say the driving is very good as are the roads. 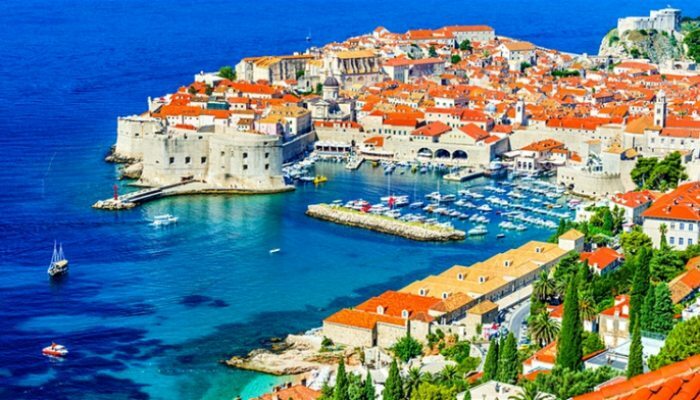 Nice places to visit are Porec and Pula. You can do these in a day trip. Croatia also has some wicked buildings like much of Europe. Friendly people and delicious food, hot days and sea breezes. If you are lucky enough to witness an offshore lightening show its better than fireworks. There are loads of offshore islands to visit and the notable thing on the mainland is the red soil, olive groves, grapes and orchards. With fantastic day temperatures and just one lovely country you can see why people love to go back time and time again. 1) Eat yourself silly, it’s cheap and fresh. 2) Call in at a tourism office, they are great, friendly andyou will get a ton of brochures. 3) Sorry I can’t give advice on public transport but ask a local at the bus stop. Most speak English and are only too happy to help. 4) Use the suntan lotion. Summer is really hot! 5) Banks are the easier to find to exchange your money.